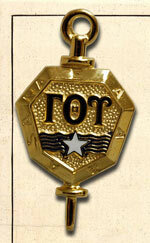 Gamma Theta Upsilon (GTU) is an international honor society in geography. Gamma Theta Upsilon was founded on May 15, 1928 and became a national organization on May 15, 1931. In January 1969, GTU became an International Geographical Honors Society. The local chapter, Lambda, was founded in 1936. Members of GTU have met academic requirements and share a background and interest in geography. GTU chapter activities support geography knowledge and awareness.